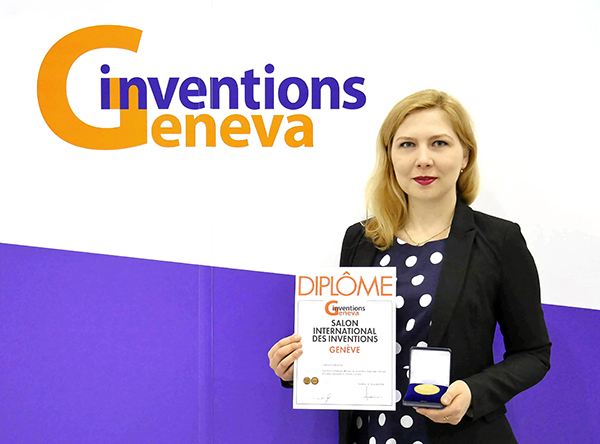 Joanna Kozłowska, a doctoral student in the Department of Chemistry at WUELS, went to Geneva as the winner of the ”Student-Inventor” competition. At the International Exhibition of Inventions she presented a cycle of 46 inventions involving new flavonoid derivatives, that is organic compounds naturally occuring in plants. – On the first day everyone presented their inventions. In my category, M, one connected with medicine, surgery, hygiene, orthopaedics and equipment for the disabled – almost 120 inventions were submitted from all around the world – Thailand, Iran, Iraq, China, Sri Lanka, Korea, Switzerland, Russia, Malaysia, Italy… Literally from everywhere. To present in five minutes something you’ve been working on for a couple years is not that easy, besides the competitors also had impressive achievements. But I knew that people were interested in what I do also during the trade show itself – people from other universities, other trades or people handling the knowledge transfer from science to business would come up to me, ask around, do initial research – says the doctoral student that won a gold medal in her category and a special prize of the Malaysian Society for Scientific Research. 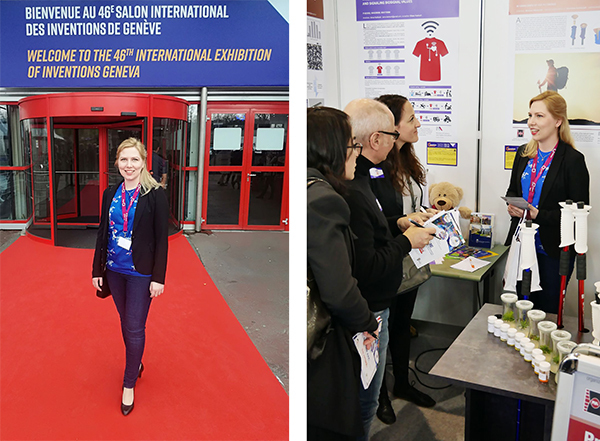 – We also had the chance to visit the World Intellectual Property Organization and CERN (the European Organization for Nuclear Research) where we were shown around the hadron collider. The trip’s schedule was very tight but overall it was an amazing experience for me. I also have to add that our university’s promotional gadgets – the in vitro plants I took with me – made a huge splash. People were fascinated by them – says Kozłowska. – I conducted the research on these inventions in two ways. On the one hand, I focused on naringenin, a flavonoid occuring in citrus fruits, for example in grapefruits or oranges. I conducted chemical modifications, which means that I combined other chemical particles with naringenin in order to increase its antioxidative, anticancerous and antimicrobial activity. It’s a citrus gold, so to speak, that I enhanced even further. Separately, I conducted biotransformations of chalcone derivatives occuring in hop and containing different chemical groupings. In this case, I used anaerobes in my research. In cooperation with the Wroclaw Medical University, we are checking what is the activity of the compounds I obtained on the lines of cancer cells. In our research we’re focusing on colorectal cancer, in the future we’re planning to focus on other cell lines, for example breast cancer. The first results are very promising – admits the doctoral student, who is conducting her research in cooperation with her doctoral supervisor, prof. Mirosław Anioł.